I’m a love of soup in the winter, because it’s a light way to warm me up without weighing me down. It’s comfort in a bowl and usually incredibly easy to put together. 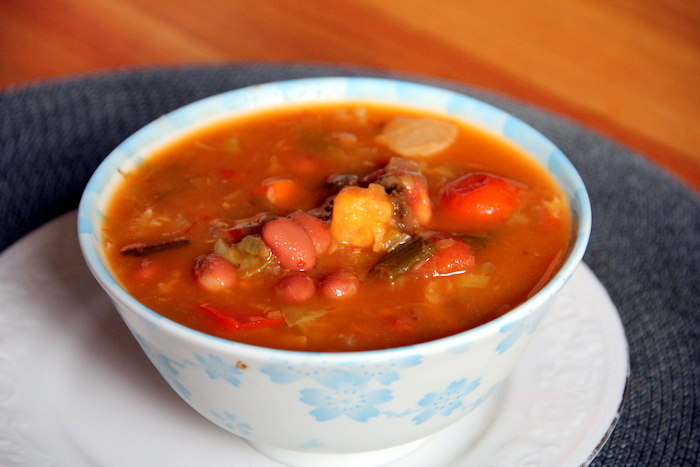 This recipe is no stranger in my kitchen – it’s a simple combination of all my favorite vegetables as well as red kidney beans, which boost the soup’s overall fiber and protein content. One bowl is enough to fill me up for lunch or dinner or act as a filling snack. 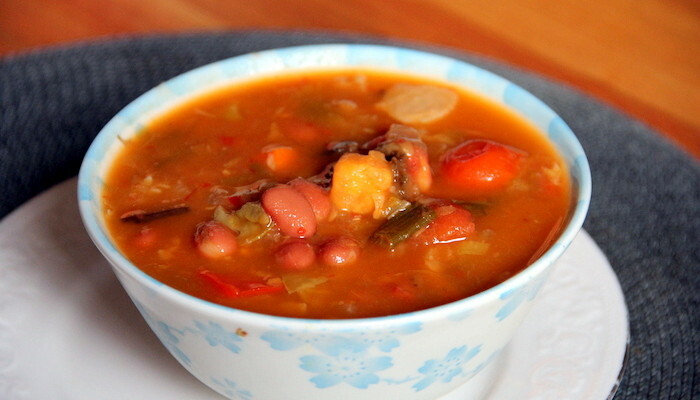 Make this bean soup on Sunday and eat it throughout the week! Enjoy! Beans, beans they’re good for your heart, the more you eat them, the more you…glow! Doesn’t work, but it was worth a try. 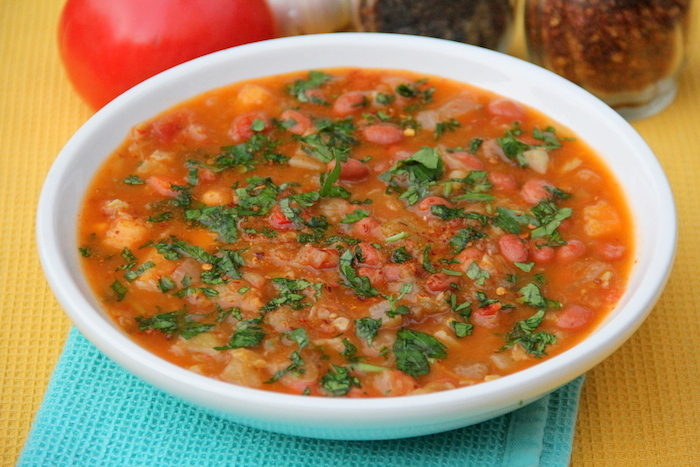 Red Kidney Beans: can reduce the risk of heart attack b more than 80% if consumed regularly. Just on cup provides 1/3 of the RDA for folate. Its vitamin B9 content helps to eliminate homocysteine, a toxic substance that can lead to severe artery damage. It is also packed with soluble fiber that improves digestion and contains more proanthocyanidins (a type of antioxidant) than blueberries and cranberries do. Directions: Add olive oil to a pot over medium-high heat. Add the onions, carrot and celery and cook for 5 minutes, or until the onions are transparent. Add tomato and red pepper paste, mix and cook for another minute. Add the tomato and beans and stir. Stir in the salt, pepper and cumin and pour in the 3 cups of water. Bring the mixture to a boil and then reduce heat to a simmer. Put a lid on the pan and simmer for 15-20 minutes. The beans should be soft and should melt in your mouth. Garnish with chopped parsley. This entry was tagged bean soup, detox recipes, easy healthy recipes, going vegan, good vegetarian recipes, great vegetarian recipes, healthy, healthy breakfast recipes, healthy dinner recipes, healthy food recipes, healthy recipes, heart healthy recipes, how to become a vegetarian, how to make vegetable soup, quick vegetarian recipes, simple vegetarian recipes, vegan, vegan essentials, vegetable soup, vegetable soup recipe, vegetable soup recipes, vegetable stew, vegetarian, veggie recipes, veggie soup, what is a vegan, what is vegan. Bookmark the permalink.